Rebus Puzzles are very much interesting word puzzles. In these puzzles there is hidden meaning in the given picture images and your challenge is to find this hidden meaning. 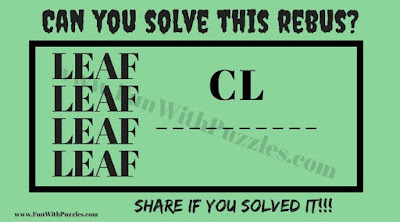 These hidden meanings in most of these rebus puzzles are English phrases or English Idioms. So to solve the hidden meaning word puzzles, you need to have knowledge to English language. 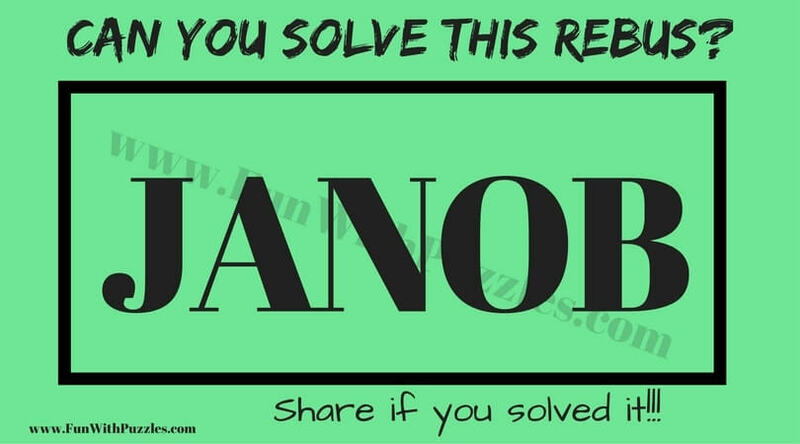 These puzzles are extension of previously published Hidden meaning Rebus Brain Teasers. In these word puzzles, some words are given in each of the picture puzzle image. These words contains some hidden meaning. 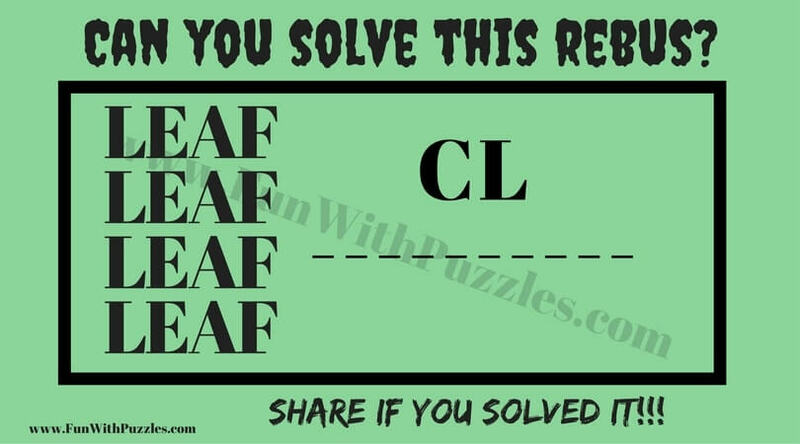 Your challenge is to find these hidden meaning in each of these rebus puzzles. 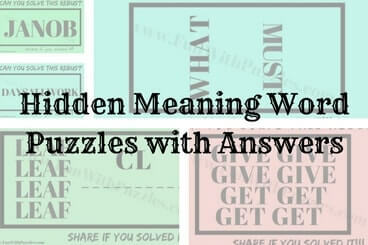 Lets see how many these hidden meanings you can find without looking at the answers? 1. 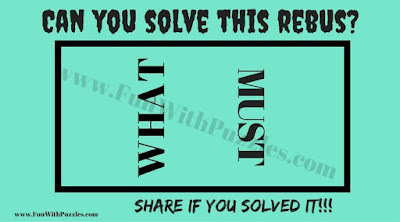 Can you find the hidden meaning in this picture puzzle? 2. 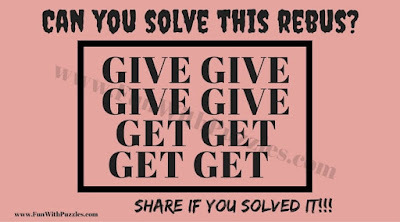 Can you solve this to find the hidden meaning in this picture? 3. 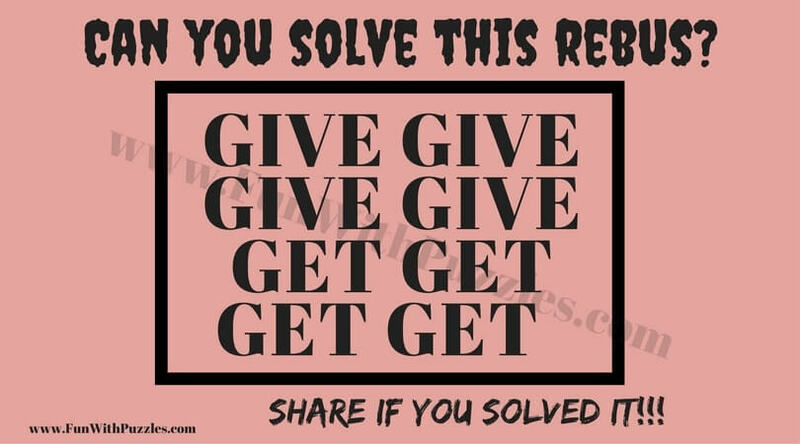 What is the hidden meaning of this rebus puzzle? 4. Find out what is the hidden meaning of this picture? 5. 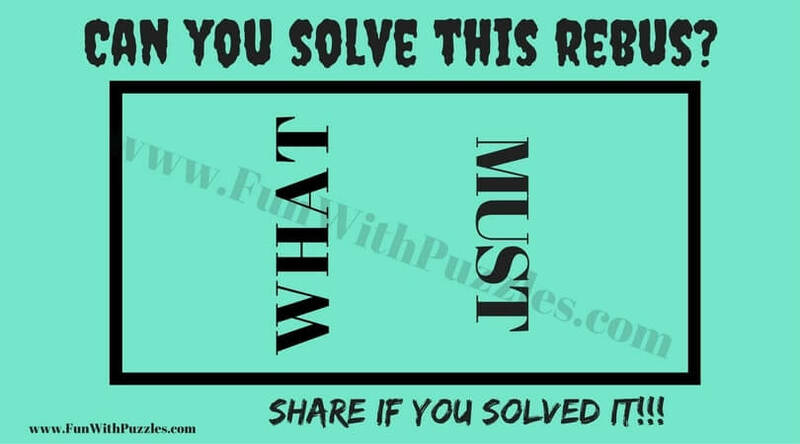 Try to find hidden meaning in this picture puzzle image? 1. The Brain Wiring Test for Kids, Teens and Adults with Answers: Here you can find not only word brain teasers but also Picture Puzzles, Mathematical and Logical Puzzles. 2. 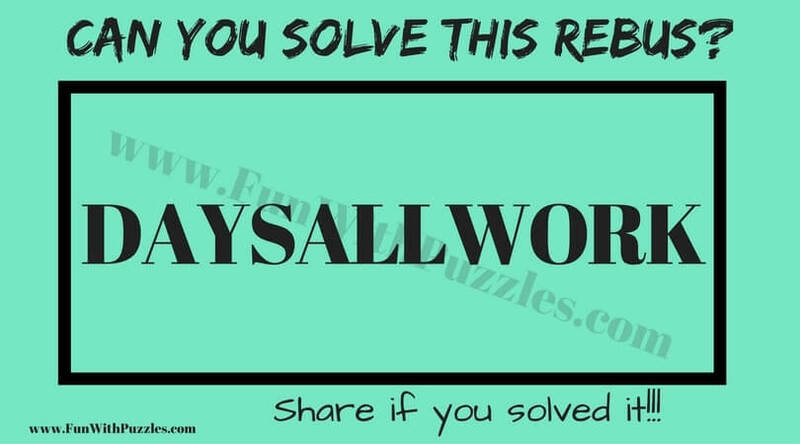 Fun Word Brain Teasers with Answers to Challenge your Mind: It contains 10 mind challenging but fun Word Brain Teasers to twist your mind. 3. 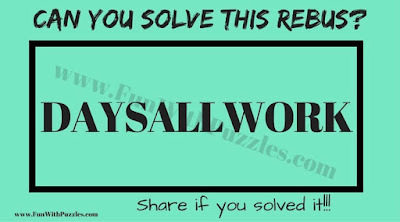 English Word Puzzles for students with answers: There you can find some tough English word puzzles which will require some of of box thinking to solve them. 4. Tricky Riddles using the English language with answers: These are the English word brain teasers in which your challenge is to guess the English word from the hints given regarding this word. Answer of these hidden meaning word puzzles are given as below. Try to find these hidden meanings by yourself and use these answers only to verify your solutions.